Good article and great photos – La Cite Fruges is a rewarding study.! A summer afternoon in the Gothic. People have gathered to this small closed square to talk and enjoy the smattering of sunshine. The buildings are those of a village; simple and crudely made. History frames daily life. Street as public living room. Hot sun strikes the beautiful stone façade rising above the London Plane trees. Precise cast ironwork and drop glass street-lighting adorn the arcade storey. Upper storeys are modelled with massive brackets and cornices to form a solid articulated continuous street façade. This stately metropolitan street could be in Paris or Buenos Aires. Vestibule as meeting place. It is worn and cracked but well maintained. It is darker and cooler in here. The stair is a room of its own. Light spills from above. 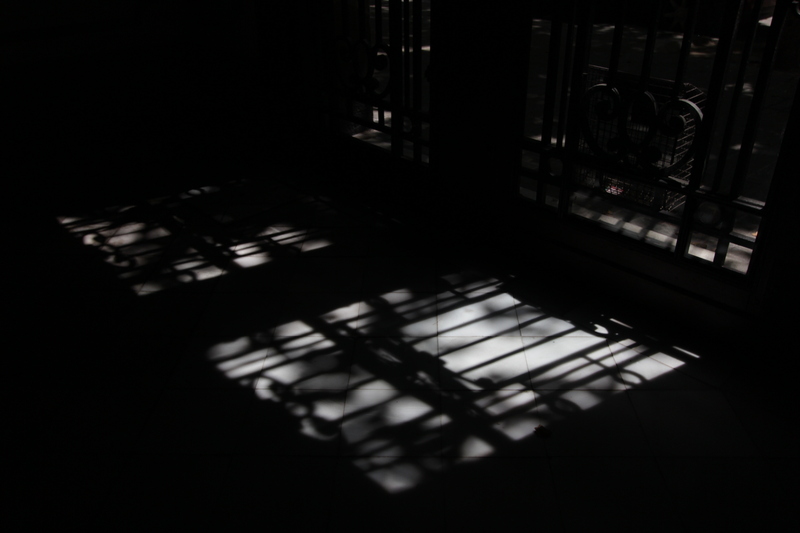 Delicate steel grilles throw shifting shadows onto the worn pale marble floor. A place of quiet. People are sleeping. Delicate timber and steel balconies are fitted with ornate glass bi-fold doors. Matchstick blinds shade the balconies. Washing flutters in the breeze. Birds fly around the court. Time passes. 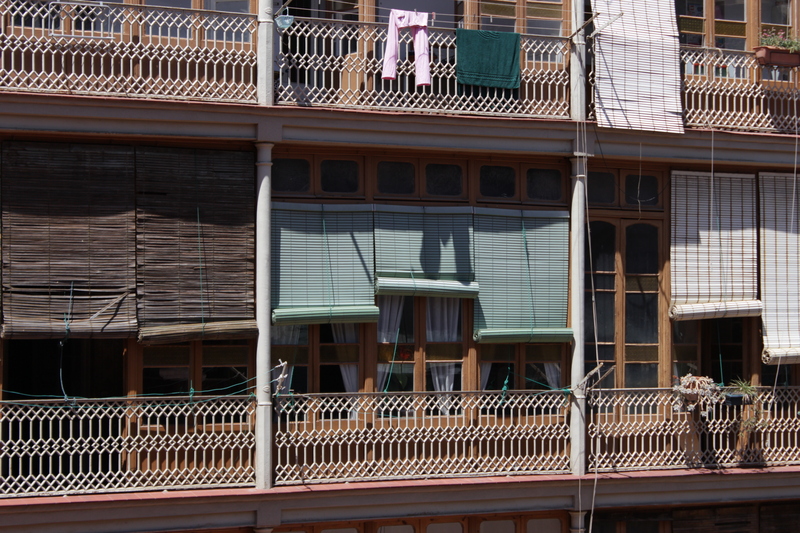 The transparent balconies are identical. Traces of occupation are everywhere. Apartments opposite are screened by the moving treetops. The city is hidden below the tree canopy. Potted cacti are bathed in sun. Shadows shift very slowly through the balcony. Sagging shutters. The balcony doors are held open by a table. Light moves across the vivid tiled floor. Domestic order reigns. The generous amenity of this apartment block on Carrer Princesa is worth examining. While it has the lowest net density of any of the projects studied (refer Density Comparison Table), it has the highest density in terms of habitable rooms per hectare. Its density figure is also lower because the lower floors are commercial and not residential. The Carrer Princesa is part of a small quarter built at the time of the demolition of the Citadel and the building of the Parc de Ciutadella and the Market. It occupies a triangular block left over from the void between the old El Born and the new rectangular Park. The dark passages of the Gothic and the miniature city of Barceloneta nearby are another world. The width of the Carrer Princesa is greater than the height of its buildings. It is a splendidly metropolitan and urbane place and was an area for the wealthy middle classes when built. 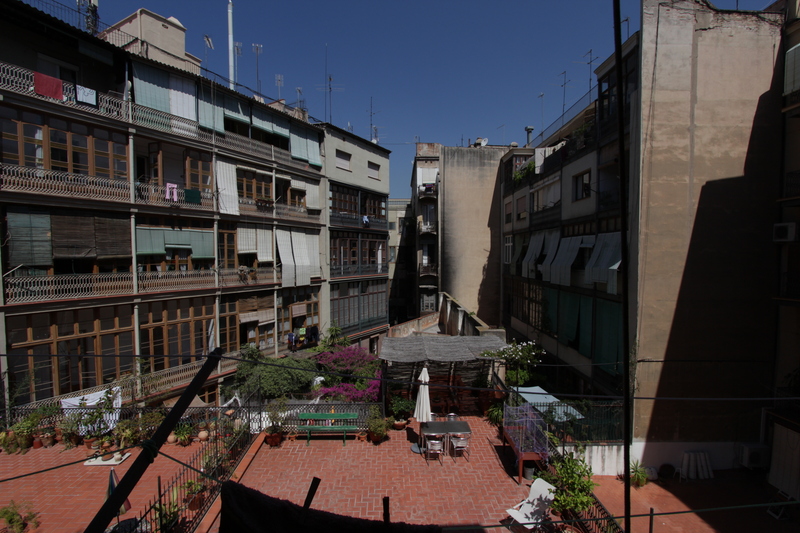 The apartment planning is similar to the Eixample plan shown in The Urban Housing Handbook1. The splendid naturally lit and ventilated stair serves two apartments off each landing. A mix of apartment types and sizes is not possible with a plan this deep without compromising cross ventilation. These large (175m2) 4-5 bedroom flats can however be occupied by families or by multiple occupants. Each apartment has one bathroom only. The rich and beautifully resolved ornament of the façade is reminiscent of the more splendid streets of Hausmann’s Paris. Street trees have room to grow high, broad and healthy. The vast Parc de Ciutadella is nearby. Street balconies give privacy and permit incidental views up and down the street. The big private balconies facing the courtyard can be enclosed by the glass doors and permit indoor/ outdoor living. There are no communal facilities within the building. The El Born area though is rich with are shops, museums, markets, the park and other facilities. 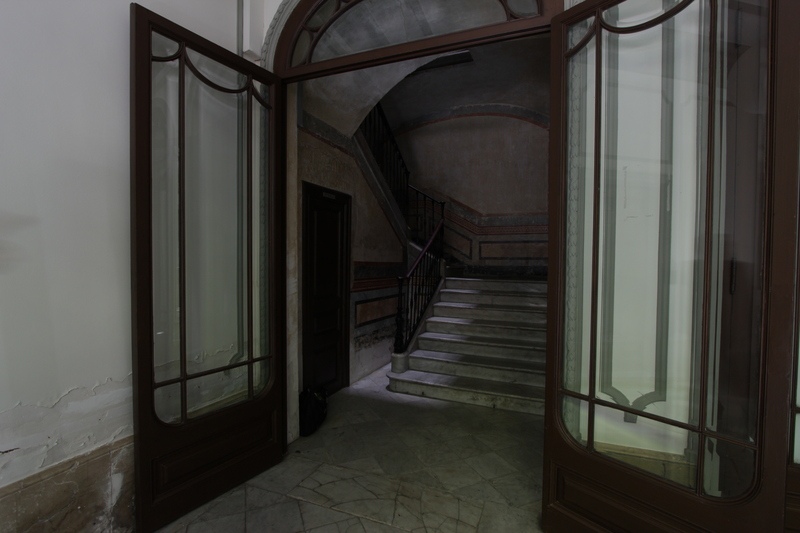 The apartments along Carrer Princesa contribute to the street and are a refuge from it. Lightwells are employed to provide good light and ventilation within a deep and inherently dark block. The beautiful and continuous facade is another example of quality architecture “anchoring” a neighbourhood. Because of its generous proportions and amenity this apartment type is applicable over large areas of the city; it is a sustainable density. Michael Zanardo; project mentor and source of knowledge. You approach Barceloneta from the broad avenues of the Eixample or the dark passages of the Gothic. Beyond a zone of road and rail corridor, Barceloneta rises like an impenetrable wall and suddenly you are within. It is quiet, dim and sheltered. There is an almost impossible density of housing which is very ordered and repetitive; a draughtsman’s lesson in perspective. Haphazard layers of window boxes, washing, external services, satellite dishes and antennas do not manage to disguise the underlying order. This teeming density is not unbearable perhaps because it is ordered, but also because it is finite. The east-west streets are illuminated at their ends by vast open spaces. And all is at human scale. On the streets between these habitable walls the locals behave as though they are at home. A small amount of car traffic picks its way around people chatting in the street. People bring seats and sit on the footpath. 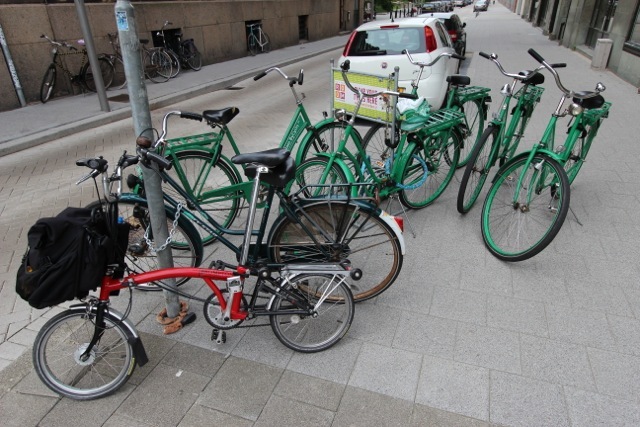 Small spaces are claimed in the street with plants, washing lines, a chained bicycle, children’s toys, seats and small tables. 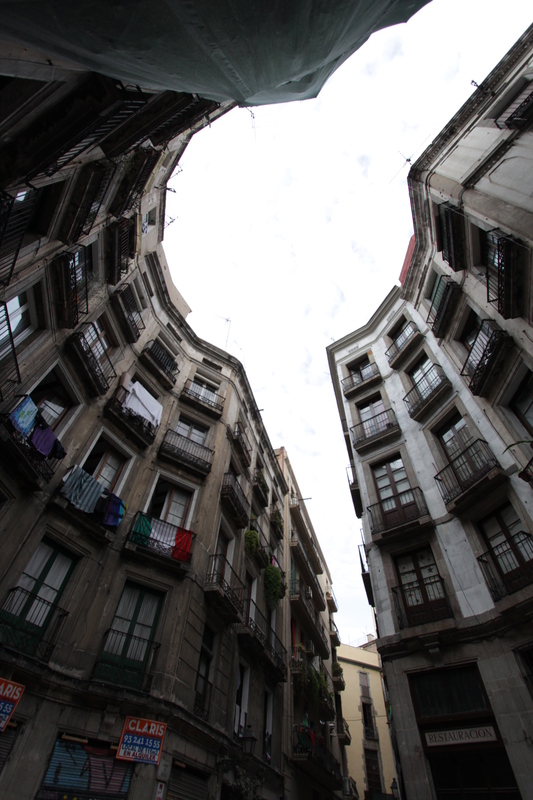 Barceloneta is like a one apartment building, with the streets its corridors. A short walk and you are on a palm tree lined boulevard, then down a ramp to a hard packed beach lined with activities. The sunlight on sand is dazzling and exhilarating. A view of masonry facades has been replaced with a view to the horizon. Sailing boats waft by. Passive and vigorous activities are spaced along the beach. Bars, restaurants, concrete chaise-longues for sunbaking, a jungle gym and children’s playgrounds. The small-scale facades of Barceloneta are set back amongst trees. It is easy to forget the city itself. Shops and restaurants are scattered through Barceloneta but are found mainly on the shorter cross streets. 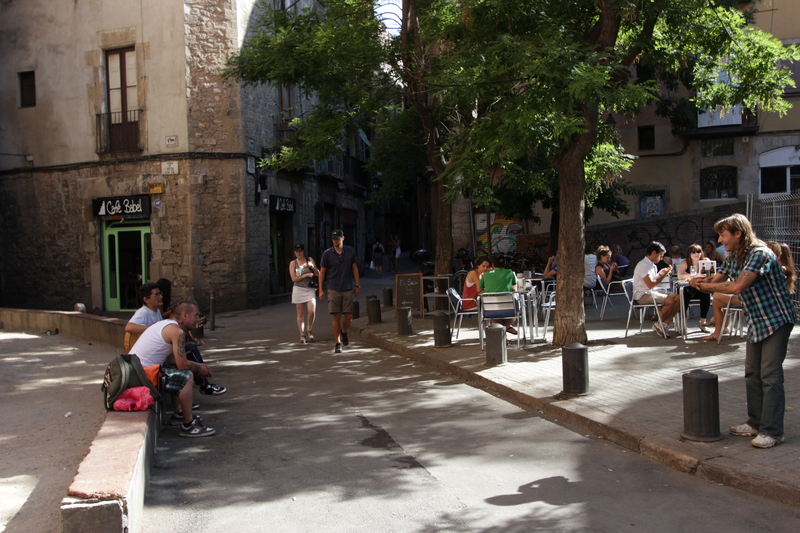 Many of the bars can be walked through to the next street, increasing the feeling that Barceloneta is like one building, with the streets its corridors. At nighttime one becomes more aware of the bars and restaurants in Barceloneta. Inside, the small rooms are sliced into even smaller spaces. 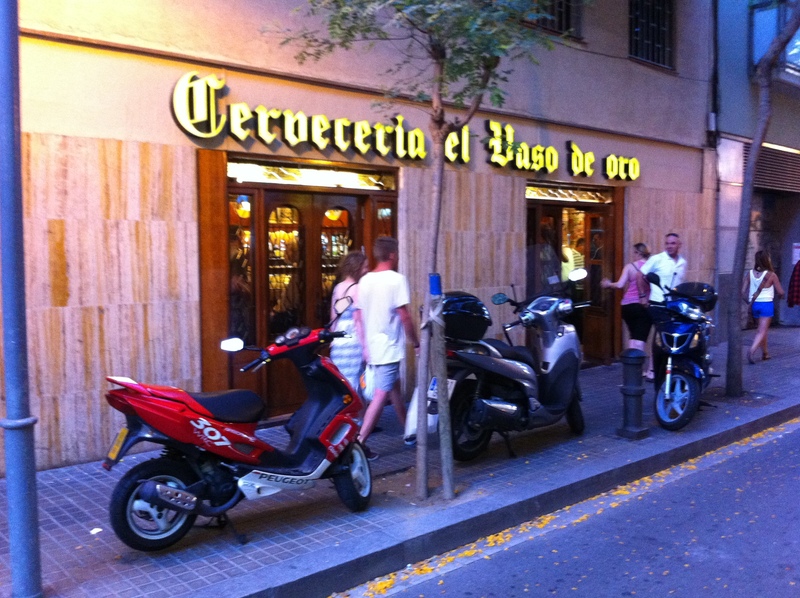 One popular bar, El Vasa de Oro, has a seating area no more than 1.6 metres wide. Chefs and barmen have more space than the diners. Barcelona has been a successful city quarter for 250 years and is very dense. A unique combination of low scale, mid-rise and very high density is evident. Barceloneta is a small quarter appended to the city of Barcelona with the Mediterranean Sea and Barcelona Harbour as it’s other boundaries. It was designed as a model city sited prominently at the harbour mouth and housed longshoremen, fishermen and other essential workers. 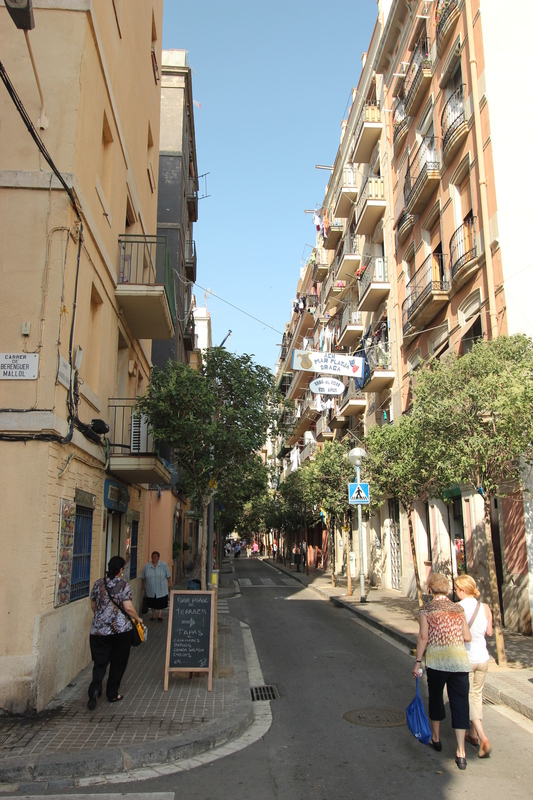 Barceloneta has an audaciously simple and repetitive layout of long shallow blocks on narrow streets crossed by slightly wider cross streets. Barceloneta and the Citadel adjacent were designed by a Flemish military engineer1 as part of Philip V’s plan to improve and control his new possession Barcelona. When completed, its orderliness was a stern contrast to the medieval Gothic quarter adjacent. In the mid nineteenth century the Citadel was demolished and replaced with roads, railways and the Parc di Ciutadella. This new infrastructure combined with population growth resulted in Barceloneta being extended upwards. The original buildings had been two storey row houses. These were replaced with four to six storey apartment buildings. This work was largely completed by the beginning of the twentieth century. 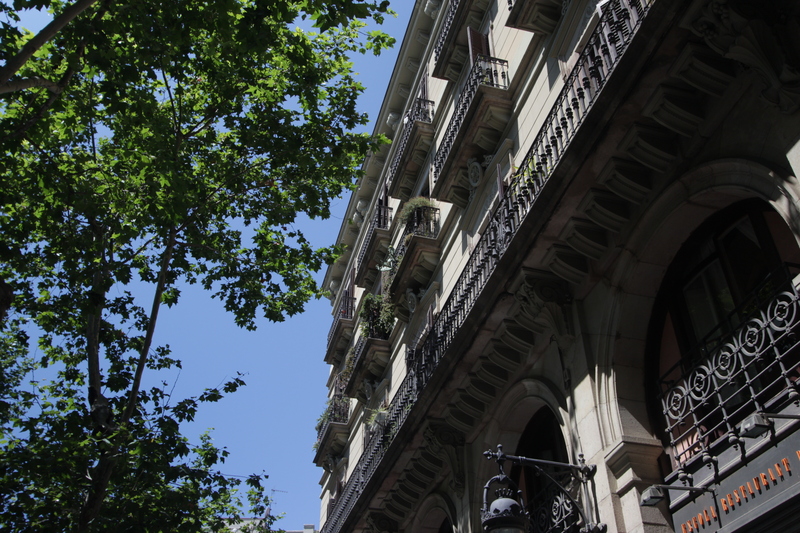 Today, the bulk of Barceloneta’s urban fabric is mid-nineteenth century. Public buildings include a sports school, swimming pool, a major fish market, a Naval School and its residential quarters. An artificial beach, grand avenue and boardwalk were built for the 1992 Barcelona Olympic Games. There is no green landscape within the buildings themselves. Squares and east-west streets are planted with slender trees, while some streets have been pedestrianised. The Mediterranean and the harbour are the major landscape elements. The only open spaces are the small balconies overhanging the street. These afford incidental views down streets and give some privacy to the rooms. 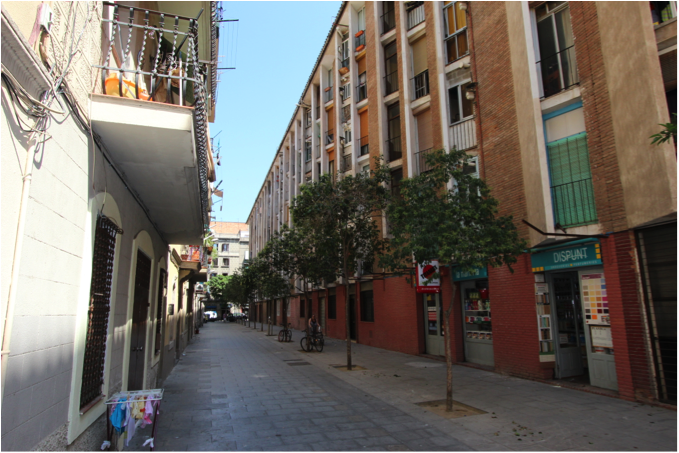 The apartment buildings of Barceloneta have no open space within the lots and rely on the streets for light and ventilation. 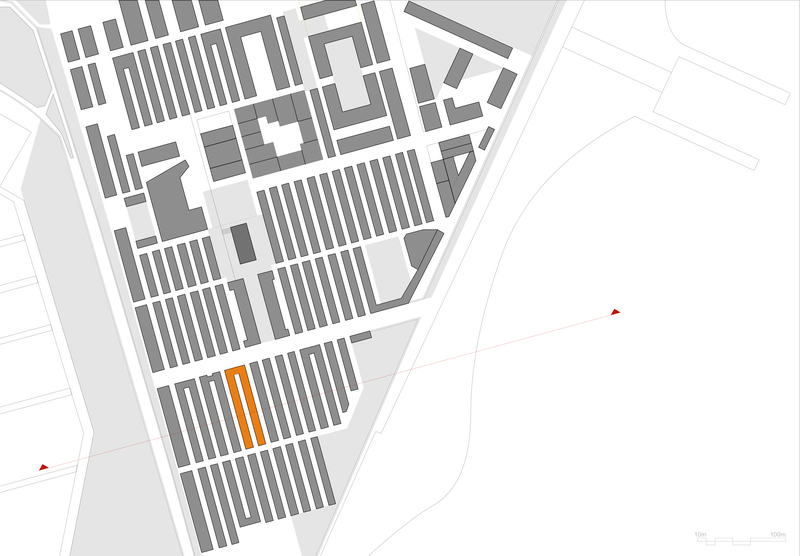 The method of achieving density in Barceloneta is simple; delete anything that consumes space. The buildings themselves have no courtyards or corridors. The ground floor lobby is typically minimal in size. The stairwell serves one apartment on each floor entered from a small landing. Apartment planning is efficient in layout and permits a mix of studio, 1, 2 and 3 bedroom apartments. Many ground floor accessible apartments are provided. Apartment sizes are small compared to contemporary standards. The 90 metre long and 8.4 metre wide blocks permit some solar access to the apartments while protecting them from the sea breezes. However daylight access, solar access, natural ventilation, visual and acoustic privacy are generally poor in Barceloneta. The design of newer residential buildings has attempted to solve some of the problems of the existing 1850s type but with uncertain success. There are no two storey or colossally scaled elements, all is at human scale. All storeys have the same height; there is no extra height for the ground floor where there may be shops or services. Ground floor shops adapt to the regular domestic sized windows and doors; there are no grand shop windows.The traditional detailing of painted cement render dados, windows, door reveals and corner quoins are uniform through Barceloneta. Doors and windows are modelled equally. Ground floor individual apartment entry doors and communal lobby doors are identical in detail. There are no communal facilities within the apartment buildings but there are many public facilities within Barceloneta. Playgrounds, a sports school, a swimming pool, a major fish market and beach activities are within easy reach. Garbage and recycling bins are located in designated bays in the street. 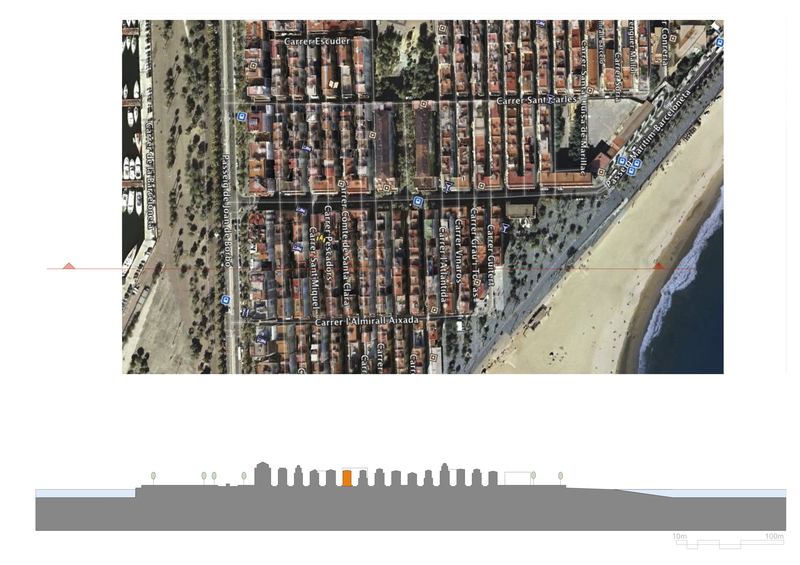 Very clear natural and man-made boundaries define Barceloneta as a distinct quarter within the city of Barcelona. The entire quarter sits within the 400 metre, 5 minute walking radius that urban designers promote as the optimal size for a walkable city. Cars and their infrastructure are generally absent. Each apartment block has no shared facilities, but there are many facilities available nearby. A strong local community is evident. The street grid ensures good orientation and an easy navigation through the streets. In Barceloneta there is an extreme juxtaposition between seashore and street, of exposure and enclosure in which one becomes a refuge from the other. Barceloneta is a unique environment that works because of its size and its site. Many apartments however have levels of light, ventilation and privacy that are unacceptable for contemporary housing codes. 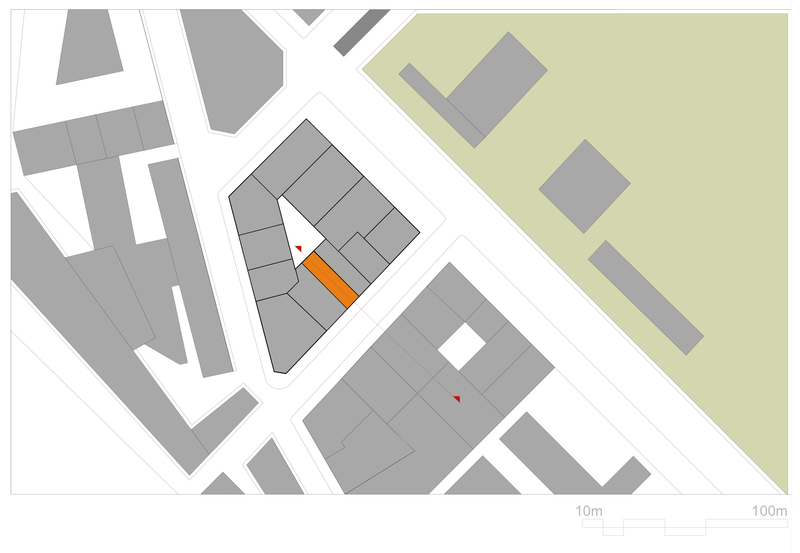 Barceloneta is an housing experiment which rewards study; and it offers possibilities for particular types of housing for users with shared experiences or values such as student, workers or institutional housing. Michael Zanardo; project mentor, critic and source of knowledge. 1. Prosper Verboom- progressive urban designer and military engineer. A splendid example of nominative determinism. A sliver of light passes over the enormous stone battlements that defend the historical city of Perugia. A fountain by the Etruscan gate. Cars circle the walls. The city is quiet. Shadows move across stone. A scattering of people pass from Corso Vanucci through the Piazza 14th Novembre. It’s going to be a hot day and an exhibit of electric cars is arranged with free drives offered around the upper streets of Perugia. pass down the steps of the Cathedral. The market is complete and the ridge road of Perugia is thronged with pedestrians. Clusters of people sit on the walls to watch the passing parade. People rest and talk in the shady green. 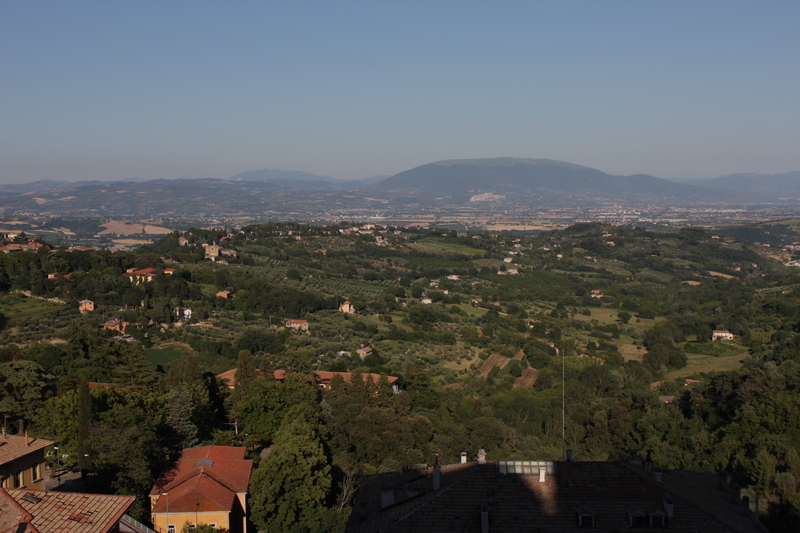 view of Assisi 19 kilometres distant. The plains seem endless. manicured vineyards and fields in the breathless calm of this day imparts a blissful feeling. Nothing moves…it is warm and all is calm and serene. The sun withdraws through the arches of Perugia. Sun on soft brick and piles of baked roof tiles. House-martens circle. The distant plains are equal parts mist and green. The vertical church spire contrasts with the housing and city walls that ramble along the hill’s contours. A veritable Claude Lorrain. The only thing moving is time. Perugia is a hill town on a grand scale, which has become a hill city. 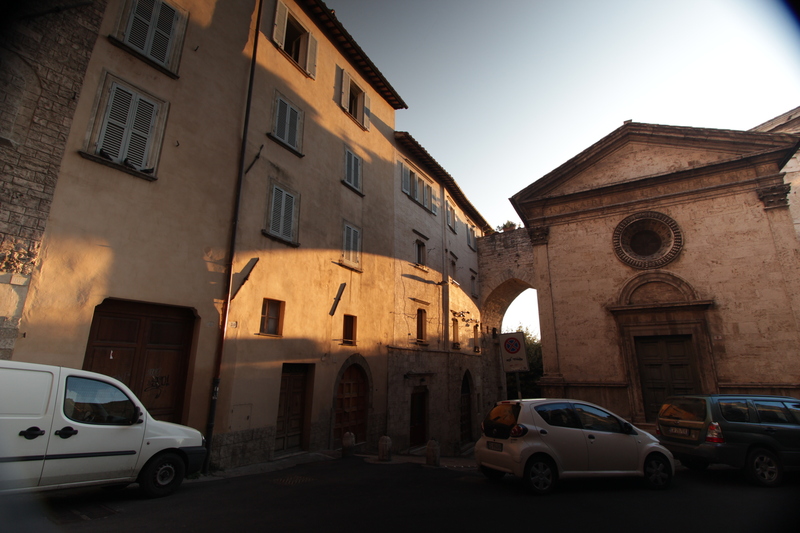 It was founded more than 2200 years ago and is now the capital of Umbria and a centre for university education. Perugia is popular with urban designers, tourists and also with writers and readers of the “My Year in Umbria” lit. Massive stone battlements ring the crown of the hill rising 500 metres above the Umbrian plains. 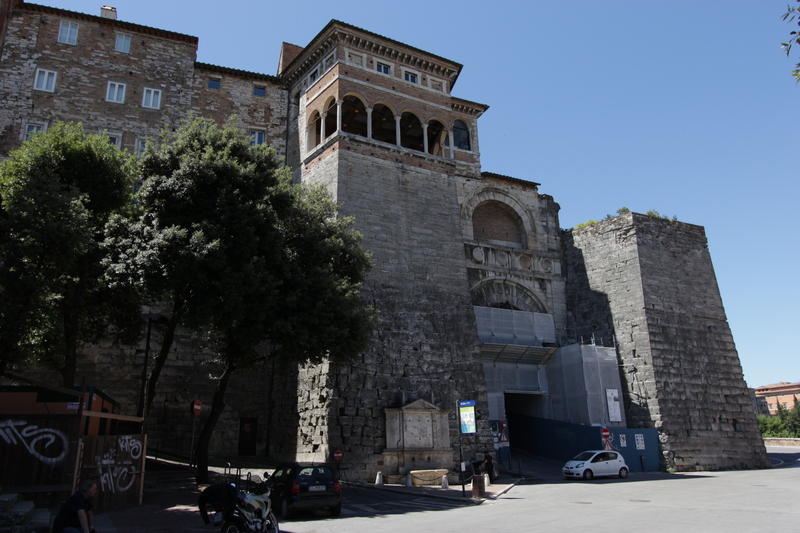 Seven gates in the city walls lead to five ancient quarters within. Corso Vanucci runs along the ridge of Perugia linking the primary civic and cultural spaces. At one end is the Piazza 14 Novembre on which the Town Hall and the Cathedral stand; at the other green terraces overlook the plains. The hilly topography is used to improve environmental conditions within the buildings. As per modernist town planning principles; taller buildings are on the top of the hill, with lower buildings further down giving all buildings more access to light, ventilation and views. The use of two types of marble for the major buildings in Perugia’s civic areas support the harmonious environment. The unfinished bulk of the cathedral’s pink and white marble flank wall faces the Palazzo die Priori in its uniform white marble. 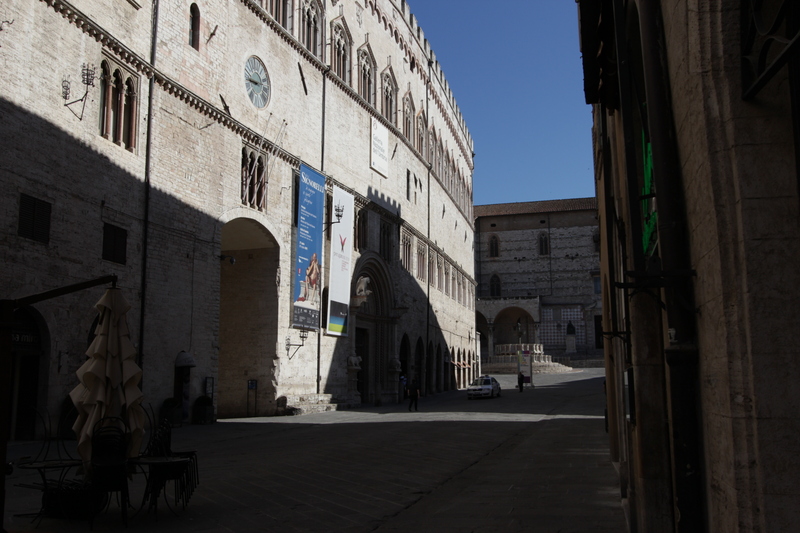 The Palazzo Dei Priori is a fascinating building; town hall, art gallery, a stock exchange. It adapts to the sloping square with grace and appropriateness. Its flush jointed stonework and crenellated parapets are fortress-like. Pierced with cast iron remnants of obsolete adornment and crowned with a magnificent cast bronze griffin and a lion, it is the symbol of Perugia. Perugia is an important cultural centre. The week before I arrived there was an event by the architecture magazine Abitare. While I was there a blues festival and an energy conference were held in the main street. There are film, jazz and chocolate festivals. Events occur in the main square and in the Corso Vanucci by day and night. No venues are needed, it all happens in public. And because of the lack of vehicle traffic when you have a conference in the main square, you can hear the discussion. Having expelled cars from the city centre, Perugia ensured transport connections by installing escalators and a carefully routed Mini-Metro. Perugia possesses the attributes required of a city by urban designers. It has defined limits and local and regional urban design and has been managed aesthetically. This is a pedestrian city with controlled vehicular traffic. Street furniture, signage and lighting do not deface its beautiful aspect. Pedestrian infrastructure is handcrafted. 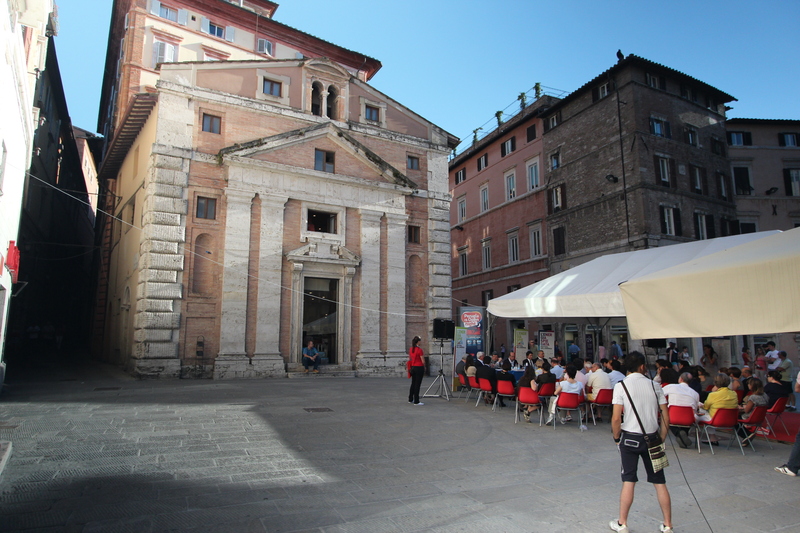 The absence of cars in Perugia allows vibrant human and cultural interaction. Anchored by magnificent ancient architecture, served by modern infrastructure, graced by a rich programme of cultural events; Perugia is a symbolic and actual landmark. 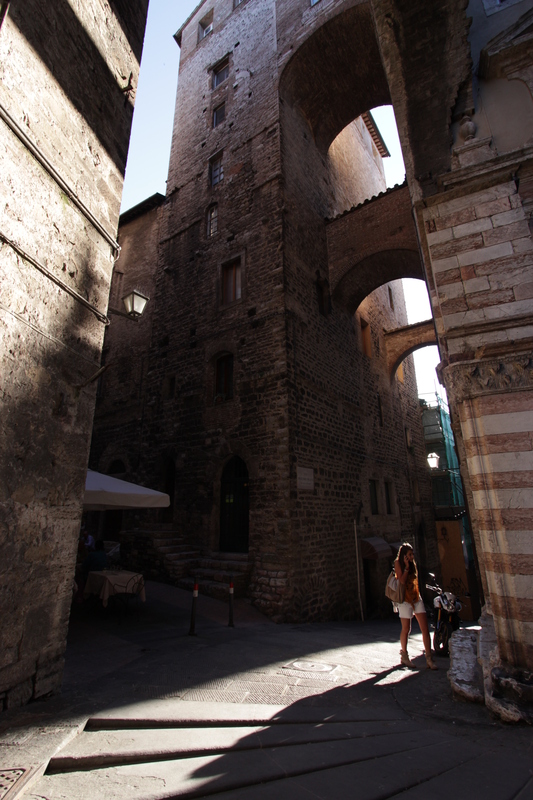 The dense, tall, ancient centre of Perugia has been maintained and integrated into the province, and is part of the bigger world, not a living museum. This ancient high-density living city glows with the polish of ages. Swarms of tourists do a great job animating this grand and beautiful space. San Marco’s exotic asymmetrical domes puncture the heavens. The curtains in the arcade move in the breeze. Sitting on the cool marble steps of the church in Campo San Salvador. Three streams of people merge in this delta. The sounds of strings comes from the Scula Gradea’ Cordeiro. Students gather and separate. Above the restaurant, washing is being put out. Geraniums are bright in window boxes. Pretty fabric awnings flutter and shade the high windows. At empty tables, flowers are ready in vases and umbrellas sit in stands. Swallows fly overhead, a crushed can lies on the footpath. The murmur of diners, an air conditioning condenser rumbles next to my ear- discharging through a dusty screen at eye level. A radio is audible. T-shirted diners take their places. A pleasant cool breeze passes. 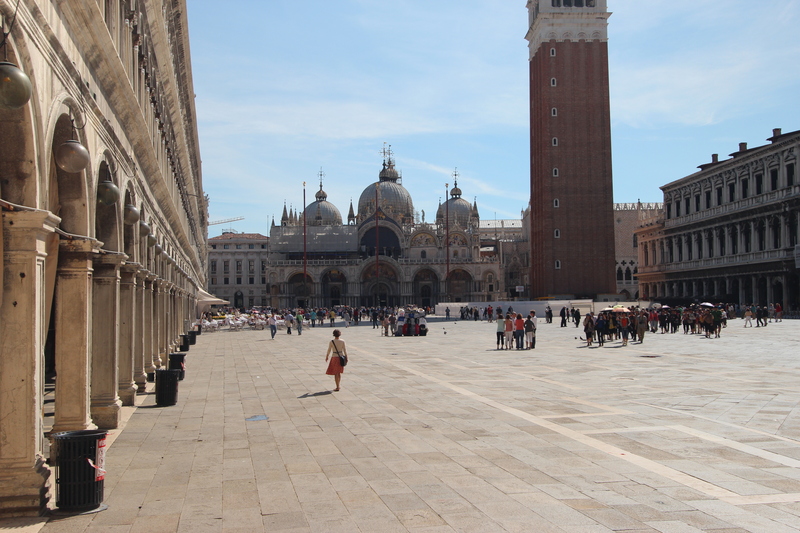 This calm court is a well cut into the stone of Venice. People sit outside the bar, sheltered by the building above. Quiet in the courtyard. A few people pass through on their way to the city. The brightly lit court contrasts with the narrow streets. 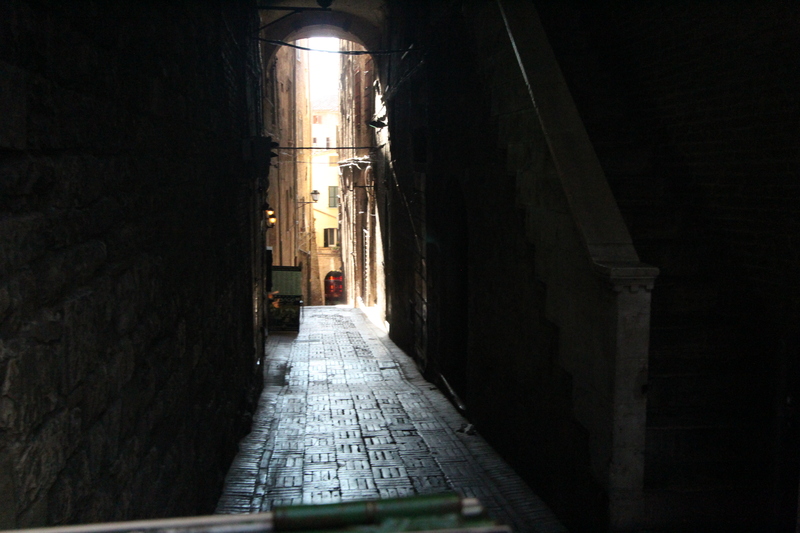 Just off a busy square; this quiet, narrow alley is a fissure in the stone of Venice. Its walls are a typical Venetian montage of materials; exposed soft brick, crumbling cement render, stone plinths, electrical wiring and plumbing installed at the most convenient and obtrusive location. Also, vegetation spilling out through a high steel screen and immaculate name and intercom plates carved from stone. Light creeps along the stone paving. We have moved through Venice from the vast lagoon to grand public spaces, under and through buildings to the small intimate streets where people live. Public and private domains are clearly defined. Venice is a dream city to which tourists and photographers flock. Yet is has a density that is far higher than most developers would dare propose. It remains a magical city of faded brilliance, the most beautiful and most romantic city in the world. Made of costly stones and floating, mirrored, above an azure lagoon; Venice, “La Serenissima”, appears in many stories. Ruskin and Italo Calvino exalted it. Thomas Mann, Evelyn Waugh and Henry James used it as a romantic and raffish backdrop for dissolute characters. And Muratori painstakingly mapped minor shifts in its canals and bridges. By the 18th century trade was in decline and tourism was growing. Its natural and built environment has been under threat for centuries. It is inexorably subsiding into its own reflection in the lagoon. Population has shrunk to 60,000 at present from 120,000 in 1980. Tourists are rampant; the living museum has become “Veniceland” and it is the subject of dire predictions. Nonetheless, this miraculous mirage also possesses the attributes required of a city by traditional and “new” urbanists. It is less than four kilometres long and two kilometres wide; about 725 hectares in area, approximately twice the size of New York’s Central Park. 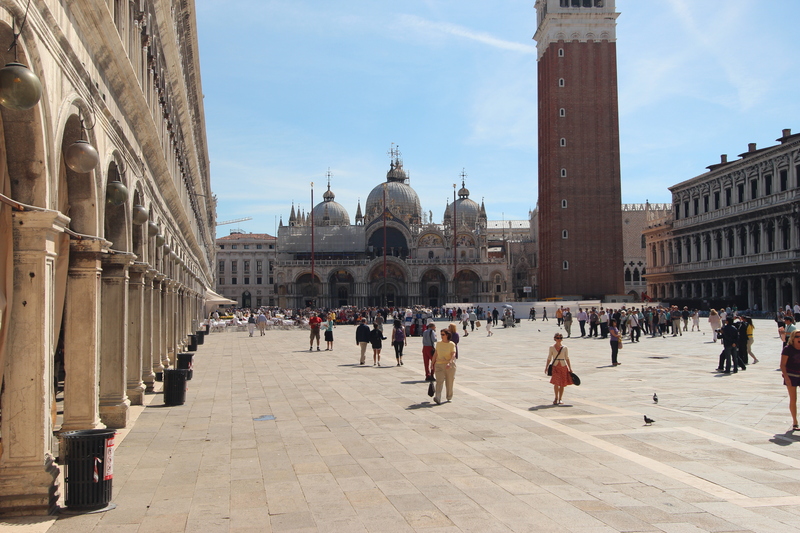 It is possible to walk the length of Venice in 40 minutes. It has defined limits and suburban sprawl is impossible. It has a uniform height. The style and materials of new and restorative construction are strictly controlled. 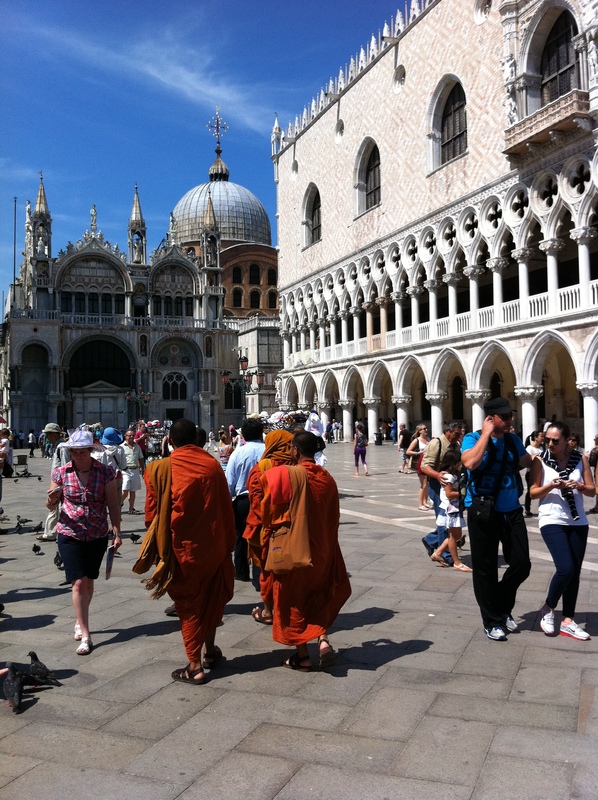 Venice is divided into 38 parishes each with its own church and square. Venetians belong to their neighbourhoods and speak dialect, yet are in touch with the outside world. This is a pedestrian city, with separate vehicular traffic. It is free of highway furniture; signage, bollards, traffic lights, New Jersey kerbs, lane markings, parking meters, kerbs and gutters, speed cameras and towering glary street lights. 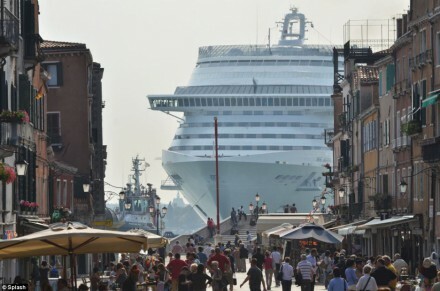 Venice does not even have bike paths; bicycles are banned. The only wheeled vehicles permitted are trolleys. 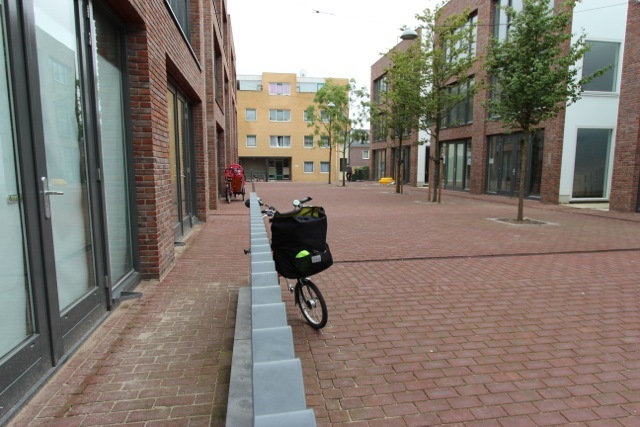 Thus public space is made up of pedestrian components, squares, bridges, and ramps, stepped ramps and raised footpaths. All is made legible with dark stone and white marble edges. There is nothing on earth like Venice; a substantial high-density city without cars, their noise and pollution. The land is for people and the water is for boats. The absence of cars allows a quiet and calm presence of human culture and interaction. Venice has city limits defined by nature and suburban sprawl is impossible. Building has been well managed and beautiful buildings grace each parish. 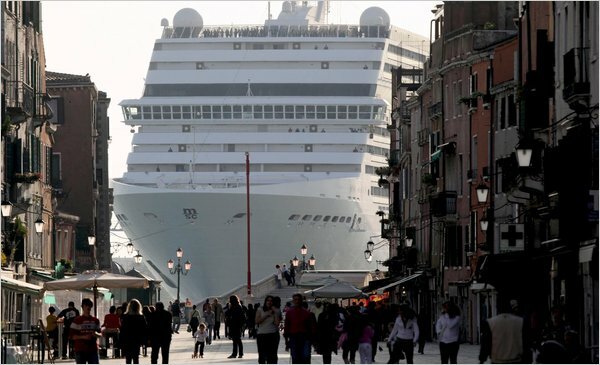 It may be a living museum but Venice is also the very image of a livable city. “In the city, time becomes visible”. Susan Sontag, “On Photography”, New York Review of Books, October 18, 1973. High-density environments have the capacity to solve current crises of international housing shortage, housing affordability, lack of infrastructure and loss of arable land. But high-density developments are often unwelcome. low quality high-density environments are routinely used as a backdrop for stories of urban strife and degradation. They are commonly seen as a necessary evil, a technical solution to a numerical problem; not as ideal human inhabitation. On the other hand many people wish to live in cities where they can walk or bicycle to restaurants, cafes, parks, markets and museums. And scenes of big city life are also the chosen setting for movies depicting complex relationships of family, belonging and identity. In short, we want a high density of culture and services but are apprehensive of possible outcomes from high-density developments. Thus, new high-density buildings are generally unwelcome. “High Density Pleasure” is the record of a international study tour of high-density environments that challenge many current perceptions by being highly desirable places to inhabit. A range of ancient, twentieth-century and contemporary environments were considered. 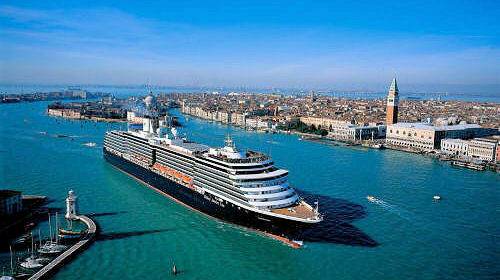 Venice was chosen; the most beautiful city in the world. Perugia as an ancient Italian hill town with an important regional and ceremonial role. Barceloneta as a compact and astonishingly dense quarter of Barcelona.. The Quartier de L’Europ in Paris was documented. “Piraeus”; a large dockside building in Amsterdam as an exemplary contemporary project. “Hornbaekhus” an early 20th century block in Copenhagen was selected for the serene qualities of its generous courtyard. 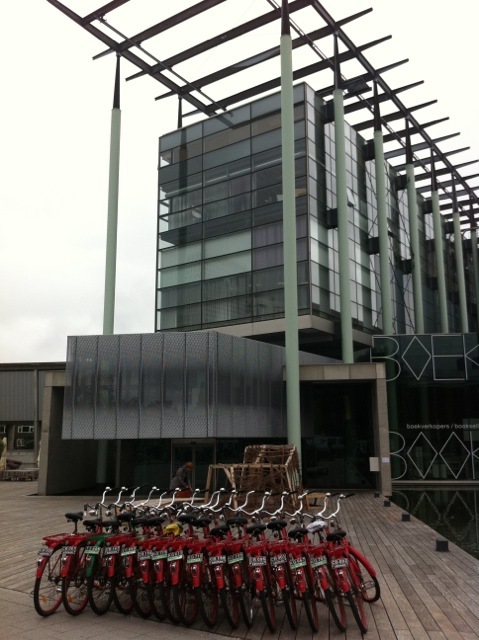 And the most recent project; “House 8”; a large, ambitious and well-publicised block in Copenhagen. High density is not only new high-rise. Low rise is considered to be three storeys or less., while high-rise is more than eight storeys. All selected projects are mid-rise, having an average height of four to eight storeys. Mid rise in Paris; 1810 and 1910. Housing density is a relative term for which different units of measurement can be used. The generally accepted unit of measurement dwellings per hectare has been used in this study. All projects have been measured using the term net density; being the ratio of the number of dwellings to the area of land they occupy, including internal streets and courtyards and half of the width of adjoining streets that provide access to the dwellings. Site density is also provided; being the ratio of the number of dwellings to the area of land they occupy (site area). The projects selected for this study have densities that significantly exceed 60 dwellings per hectare; the lower limit of the definition of high-density. This compares with a density for the Australian “quarter acre block” suburbs of 9-15 dwellings per hectare or a typical density for inner Sydney suburbs composed mainly of terrace (or row) houses of 40- 70 dwellings per hectare. Time-lapse photography has been used to show the experience of high-density living. A photographic still image is static and can be controlled, but time-lapse photography shows how a city is used in time, and narrates the story of daily life. Time-lapse photography first harvests then speeds time up to explain how things work. People respond strongly to still images, and a series of stills make the passing of time appreciable. Lights turning off and on, shadows passing, the grouping and ungrouping of people, loading and unloading; all of these actions read strongly in time-lapse photography. Swift movements of cloud, light and water contrast with the immovability of buildings. Time-lapse photography abolishes the typical architectural travel mode of passing across a city to see three or four projects. Long European summer days were spent standing next to a clicking camera. I used some of that time to ponder the characteristics of these places and buildings. To consider how they have been formed and why they are such satisfying places to be. I describe what I saw when filming and also what I see in the completed pieces. From this documentation common attributes of the selected environments were noted and analysed. Comparative densities, floor/space ratios and footprints are provided. Plans and sections of critical aspects of the projects have been drawn. The time-lapse photography for this study shows successful high-density environments; places where one can lead a comfortable, satisfying and meaningful life. I intend that these time-lapse photos of cities and buildings show what density looks like and tell stories of the pleasures of living close together. These projects show that denser environments have a great capacity to enrich social life by bringing amenity, coherence and belonging to more people. I have studied and made several study tours of housing projects, but I am not an academic. I am an architect living in Sydney and working primarily in residential design and construction. I intend that the projects and accompanying documentation, analysis and metrics will assist assessment of these places as precedents for new high-density urban projects. Australian city plans are often timid in their proposals; recommending 60 to 80 dwellings per hectare- densities that are below the threshold of what is accepted as high density. The projects shown in this study indicate that densities of 200- 300 dw/ha are a threshold where shops and other facilities can be sustained. 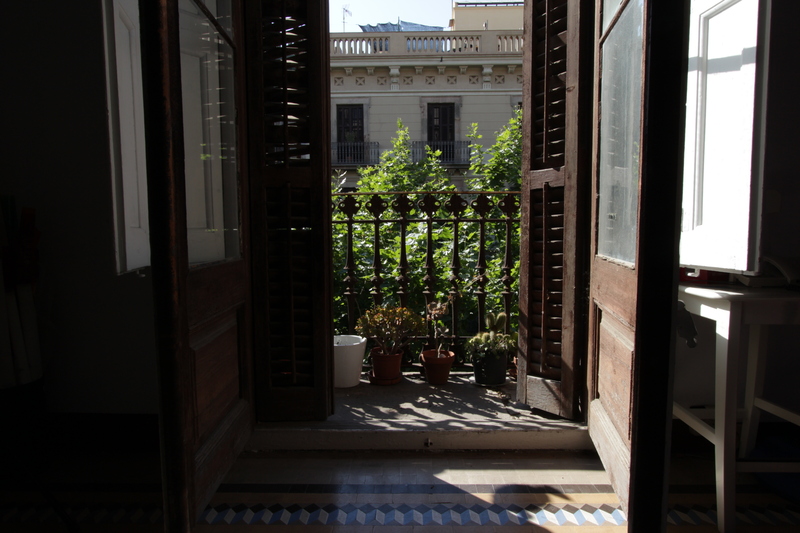 A threshold where city life begins and remains. High density environments are designed with the assistance of calculators, computers and CAD programmes. Numbers, sizes, proportions and ratios are essential for appropriate design, but the city is primarily a human artefact. This study is a complement to number- heavy high density design manuals. It records the experience of successful human artefacts and works back to identify some of their attributes. The time-lapse photography encourages viewers to make their own conclusions. Architects, like any other tourists (or travellers if they will) spend a lot of time pounding the pavement looking at bricks and mortar. Architects are just more selective (or obsessive) about which bricks and mortar. It can often be a race around a beautiful city to locate that one masterpiece which you have been longing to see. If you do this on feet you inevitably weaken. Public transport takes a lot of organisation, and you miss a bit of the city (at speed), but you meet people. Cabs are expensive and you still miss a lot of the city. This is when you turn to mankind’s most pleasing invention, the bicycle. You get places, you see the city and you meet people. And as your longed for masterpiece appears over the horizon, it can be fully appreciated in its context. Furthermore, you can ride your bicycle every day! Which is important, if not essential. 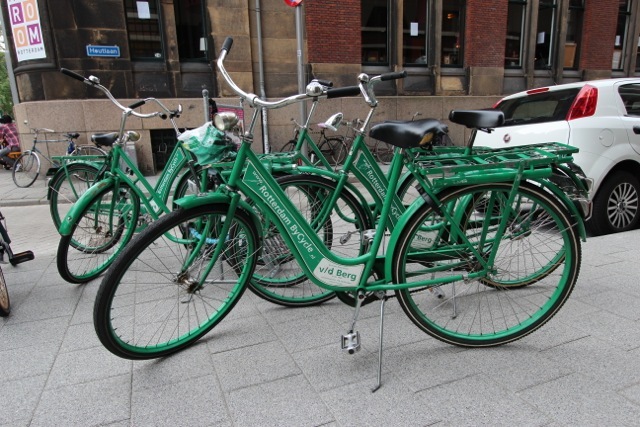 I have tried bikeshares before, with mixed results. I have bought a bike when I arrived in a city before, and wasted a day. This time round, I am prepared. I have my Brompton (folding bicycle) with me. Good design- but more importantly- painstaking, loving continuous design development. . I have tried 3 other types of folding bikes, but the Brompton is the queen. Nice ride, robust, great luggage, and it folds up to the smallest dimensions. It is steel and is one of the few things still made in the land from that brought us the Industrial Revolution. A bike, with luggage and lighting. Shaken down and sorted out for six months before the trip. A dynamo added, glitches fixed. Lubricated, illuminated, inflated. Spares and tools. Its been flown out, packed into a sleeper cabin, carried on a train to Venice. Where riding a bike is illegal……. But are we not in Italy, home of the bicycle? So roll my covered bike to the hotel and lug it up five floors. Where it remained while we walked around Venice. Because you do not need a bicycle in Venice. Its made for walking. Streets , footpaths, alleys, Callies, Rios, bridges, ramps, stepped ramps, raised footpaths. No bike paths, required when thre are no cars. 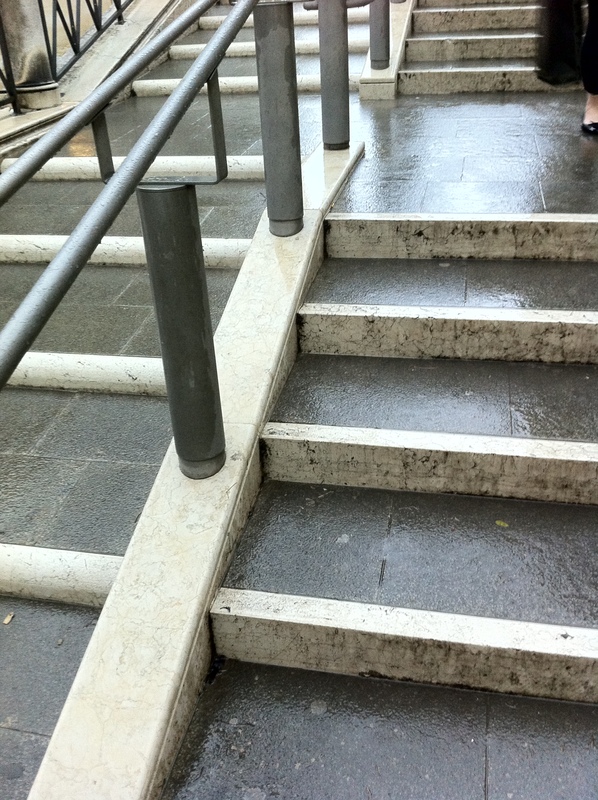 A uniform stone pavement, designed and colour coded (white marble risers) to help walking. 845 PM, plenty of life in Perugia but less and less in this narrow street as people head home and indoors. I can hear that the camera is low on battery power and is squeezing the last frames out. The camera is grinding to a halt and so am . I started at 5AM and have been in, out and around the fortified hilltop that is Perugia. I am shooting an golden lunette that is slipping and now fading across a stucco-ed wall. Feet tired- I need a seat- swallows going mad overhead, i have seen so many here, many cliffs of course, why isn’t there a local birds nest soup recipe, did Marco Polo decline to pass that on? And do swallows have a call, or are these house-martens? My friend Paul would know. Feeling good. Buttressed by the filmic arch is a Romanesque temple with a Maltese Cross on the door. Knights of Malta perhaps. A secret society. My back is stiff. i can hear a tinny transistor and a fan. I am next to a door in the 25 metre high wall with a swinging timber sign overhead. “The Titbit Pub and Pizzeria”. I have been filming the arch for 25 minutes. The light is now gone. i dislodge the tripod from the cobbles. I repair to the Titbit. The term Pub must repels tourists; I am alone with what I wish to believe are the locals, and the regular at the bar. Pomodoro fresco, mozzarella, uovo fresco, funghi, prosciutto crudo. Its the first in the menu. It’s the specialty of the house, the “titbit”. I take it. And Hofbrau bier on tap? Really? Italian pizza and German beer. That is the right way around. I am in heaven. Dr. No is on TV. Sean Connery at a grand Sumo event, escaping in a gorgeous Toyota S 2000 (?) 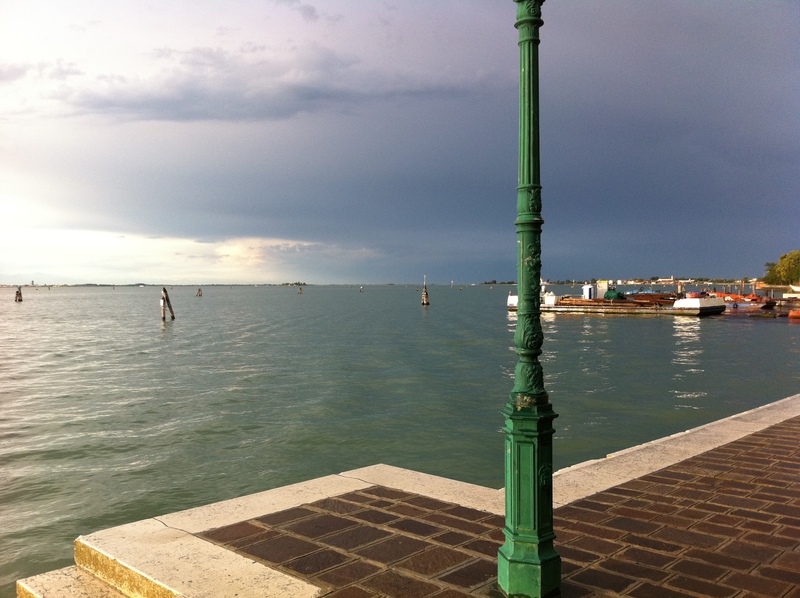 I reflect on my work in Venice- more water! These things re good with time lapses, – still solid things = buildings. And moving, passing things, trees, light, water, people. Things that start and stop rhythmically, traffic lights and traffic. Water in Dr. No. A Toyota Crown sedan chasing the Toyota coupe is nabbed by a giant magnet swinging from a Sikorsky helicopter before being dropped from height into Tokyo Bay. Great Art. Group of ten girls, Swedish couple, a couple with an infant and an Italian whippet . These are my companions in this brick vaulted cellar. Shoe leather polished terracotta tiles. Bond in a fold up gyrocopter over a volcano- being chased- surveys the choice of Dymoed toggle switches- selects air to air flamethrowers, destroys 3 choppers. Does not self immolate. “Don’t you want me baby” – Human League. “Face to Face”, The Twins–German new wave, woollen pullovers and a great keyboard line. Dr. No’s collapsing bridge is an architect’s office bridge, slightly more drastic version. Got a lot done today. Venice couldn’t resist Napoleons attack, but managed to resist Frank Lloyd Wright, Louis Kahn and Le Corbusier’s attempts to build here. Many of the interventions are landlubbers misconceptions; attempts to keep slippers dry and permanently moor or even dry dock Venice. Napoleon filled in many canals to create streets (those ones with the prefix “Rio Terra” i.e. “Rivers of Earth”). The Austro-Hungarian Empire insisted on a land-bridge across the lagoon to the profane mainland. Thomas Mann and Evelyn Waugh used it as a raffish backdrop for their dissolute characters. Ruskin and Italo Calvino exalted it. Muratoris maps are mesmerising. Its natural and built environment has been under threat for centuries. Employment has been waning for centuries. The environment deteriorates and yet seafood from the lagoon is still eaten. It is not uncommon for urban designers to be ambivalent about as a city and as a model. it is a chaotic tourist destination, but it also a haven free of cars, and of all the anxieties, odours, dangers and horrors that cars bring. Quietness and calmness. Connectedness. Walking. Layers of culture. The Stones of Venice. Nature. Identity . Beauty. Serenity. a great article originally in the Sydney Morning Herald, about how young families, and not just single people or couples, are choosing to live in the high density neighbourhoods of Sydney. “So why would anyone choose this way of life when they have other options? Housing affordability is only part of the story, as it can cost more to buy a small apartment close to the city or near the beach than it does to live in the full four-bedroom family catastrophe far from it. The real story is about a generation of young families considering commuting times, debt levels, work hours and neighbourhood amenities and coming up with a different answer to those who have gone before. Choosing location over size means living close to parks or the beach, or getting the benefit of a swimming pool someone else looks after. It means living close enough to work that you can be home before teeth and bed. It also means refusing to go into even more debt in a property market that is both stagnant and one of the most overpriced in the world. Choosing the city life paradoxically allows families to escape those things city life is most notorious for, such as long commutes in heavy traffic. On weekdays my movements take on the geographic range of a medieval peasant, travelling no further than my legs can take me for work, childcare, shopping and play. Still, doubts creep in…….We fantasised about freestanding life in the suburbs, far enough out that we could afford a home with a family room opening onto lawn, and more rooms than people – playrooms, studies, guest bedrooms. I had to yank myself from my reverie to remember the realities of such a life. …….. We are compromising family space for family time. And why are young families choosing to do this? It is just now socially acceptable, and fashion takes over. Fashion is the prime mover in Anglophone societies.